As Each phase of Your New Home is Completed, You get Closer to your Move in Date. What are the Steps in Buying a New Home? New Homes come with Home Warranties that include structural, roof, basement and appliances. What is included and the length of warranty for each depends on the builder you choose. Beware of verbal promises, only what is written in the contract will probably be honored. Make sure everything is written into the agreement that you have agreed upon. Even though your builder says they do inspections through out the process and they have to adhere to local building codes, having an outside inspection it is still very important. You will need mortgage insurance as well as home owners insurance. They are different, one protects the lender and the other protects you. Go over with your Insurance agent the options. Make sure the exterior Grading on your home is within normal standards. Your yard should slope slightly away from your home for drainage purposes. When you hire an inspector to inspect ask them to make sure it has a proper slope. Do a final walk thru about one week before closing. Take your agent with you so you will have an extra pair of eyes and they also have more experience. Make sure you have utilities changed into your name several days before closing to start the day of close. Your Realtor should provide you with the list of Utilities with contact information. Good luck and congratulations if you decide to buy new. There is nothing like moving into a home that no one else has lived in before. It is more stressful and there is a longer wait then a resell but sometimes only new will do. Building a Home in the Indianapolis Metro Area will take time to complete. A minimum of 4-6 months is expected and that will depend on weather and many other factors. 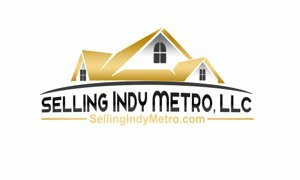 Search here for newer homes in the Indy Metropolitan Region: go the Advanced Search page, and enter the current year in the minimum age field along with your choice of city(ies), and any other criteria such as a price range. This will pull up all newly built homes in that area for that price range. Happy hunting!